The Original Rain Saver Gutter Kit just got better with the introduction of their brand new Leaf Guard. Now you can collect your water and keep it clean. 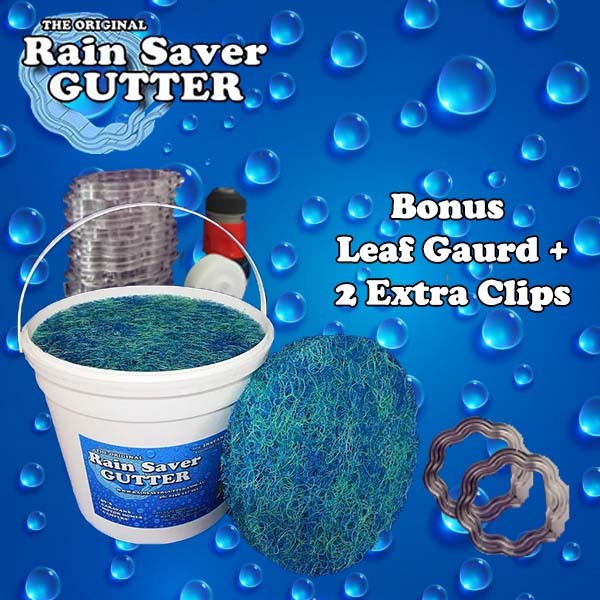 Leaf Guard helps prevent leaves entering your bucket as you are collecting water. 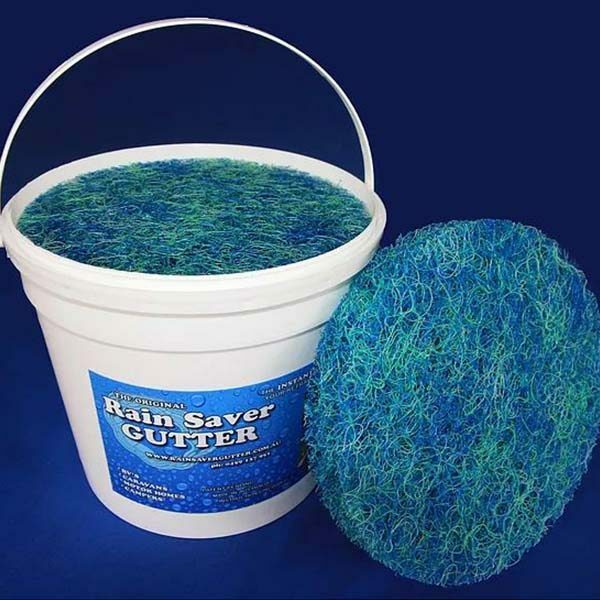 Simply place in the top of your bucket to enjoy a cleaner water supply. For more detailed information see our review below. 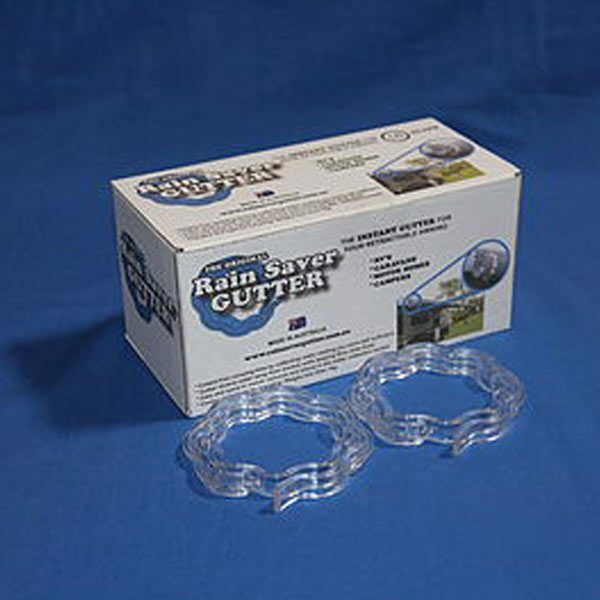 The Rain Saver Gutter is one of those products that was borne from necessity! 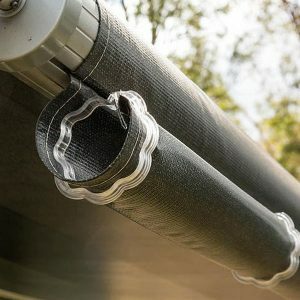 Have you ever sat under your awning watching the rain fall and pool around your flooring and wished there was a way you could catch all that water and store it in your tanks? 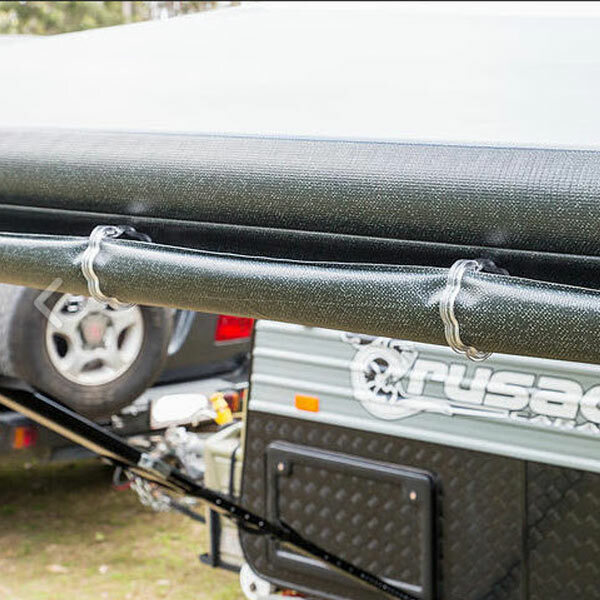 Michael, who is the inventor of the Rain Saver Gutter did exactly that when he was camping at Bruney Island Passage. Not wanting to relocate just to get water, and sick of filling jerry cans and caring them back and forth, he thought long and hard about it all and came up with a novel idea on how to convert an existing awning, into a gutter that can collect rain water just as efficiently as any household guttering system. 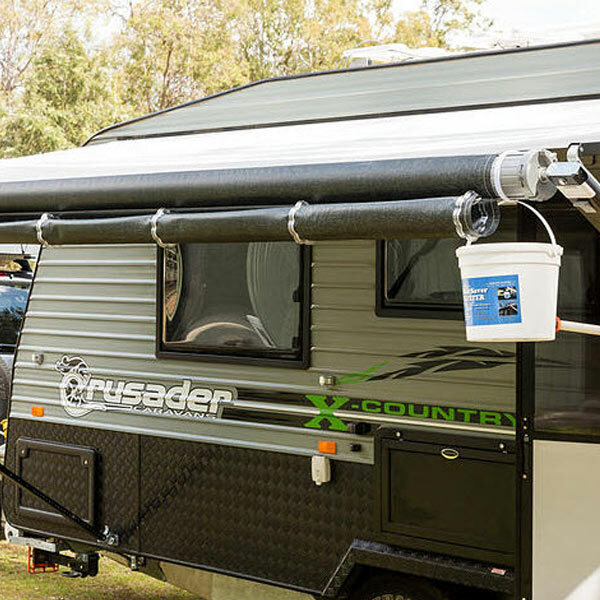 We met Michael at the Brisbane Caravan and Camping show and saw his product in action. 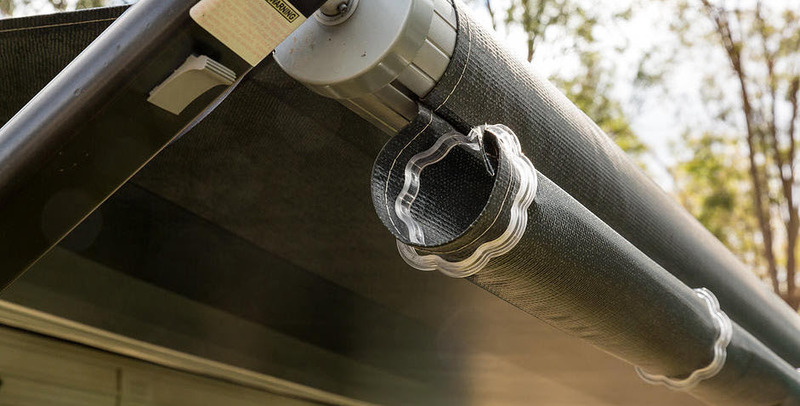 He showed us how quick and easy it was to install, and gave a demonstration of how it collects rain water. The video below shows how it all works. 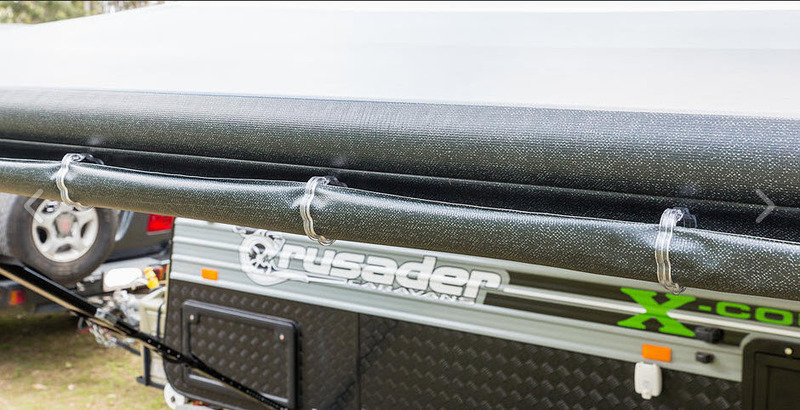 Can be a little fiddley to attach, better to use more clips than less to get the required fall without the “roll” bellying. Weight of water in bucket & hose tends to be heavier than the Velcro tabs can hold resulting in the bucket falling to the ground. 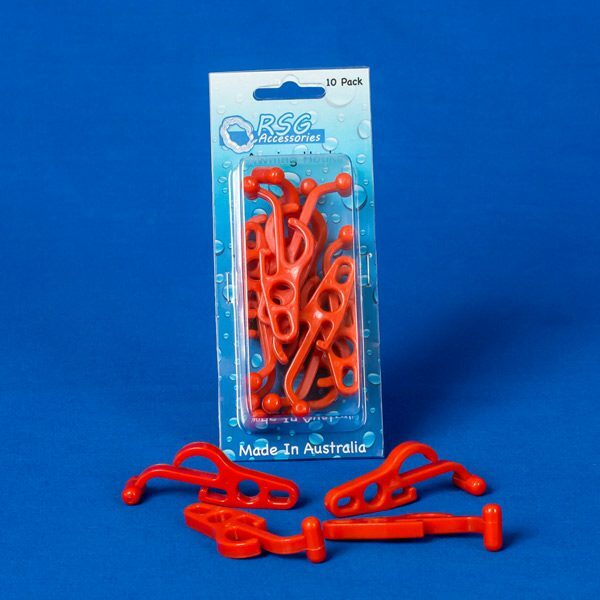 Catches plenty of water. Have just received items ,quality is good arrived right on the day they predicted.will add when I have used it. Products arrived in a timely manner and are as described on the web, I have not road tested them yet but keen to see good results. What a great product. 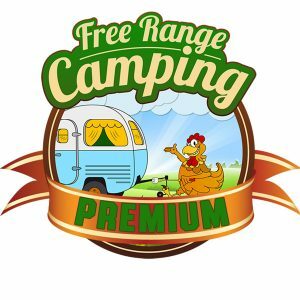 Remote camping and free water. No more pumping from a creek or dam, no more jerry cans, no more carting heavy water all over the country side, just hook it up and wait. Sometimes all you need is a heavy dew, you’ll be surprised how much water you get. Sit back and relax knowing mother nature is looking after you. Definitely need this if you are camping remotely. Good quality and came with bonus clips. Quick delivery also.